You've never seen a more brilliant and impressive print! Colors are vibrant and the luminescence is breathtaking. Detail and resolution are unsurpassed. Images "float" off the wall and cast a shadow from the light! • Dyes are infused into the surface of specially coated sheets of aluminum. • Your choice of Gloss or Satin finish. 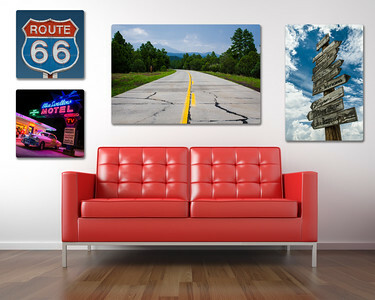 • Sizes range from 4"X5" all the way up to 30"X50"
• Prints are backed with 3/4" thick lightweight foam block and aluminum plate with drilled holes, ready to hang straight out of the box. • Ultra-hard scratch-resistant surface is waterproof/weatherproof and can be cleaned easily with any commercial glass cleaner (avoid direct sunlight).